When starting or maintaining a pond, it is important to understand how the environment works. Whether you are keeping a wildlife or fish pond, the natural processes will be the same however factors like fish stocking levels will change how much pressure you are putting on these processes, and how you can support them. The various good bacteria used to process waste in this cycle are naturally occurring in water, gravel and surrounding soil. As your pond matures, the levels of bacteria will slowly increase in line with the amount of waste produced. 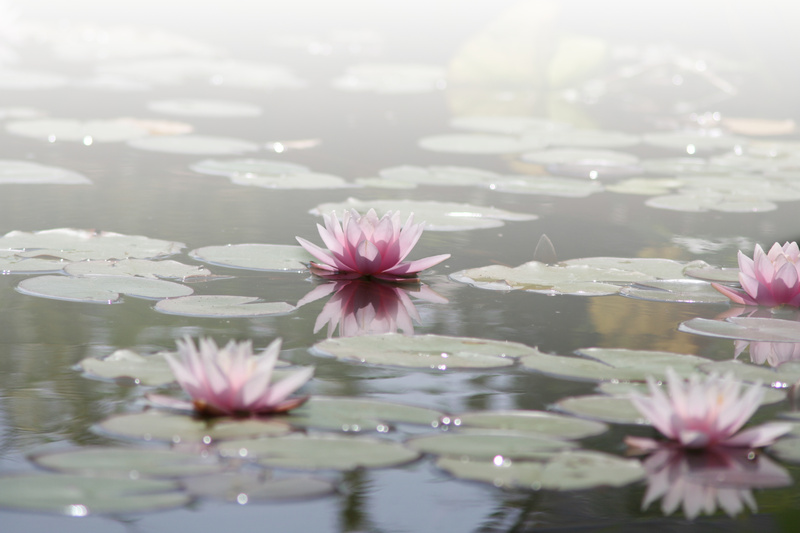 In the early stages of your ponds development, the levels of bacteria will not have built up sufficiently quickly to support the life in your pond so supportive treatments like Bio Start can be used to boost bacteria levels. Eau natural – Bacteria will develop on any surface in the pond to help process waste. This will not be sufficient for an ornamental fish pond where the population of fish are sustained by feeding. This additional food adds nutrients to the pond system and means it is essential to have a biological filter to maintain water quality – see below. Having a strong plant presence in the pond will also help to balance the water quality as they will use nitrates and phosphates for growth. Pond filters – filters are designed to specifically help create healthy water quality in your pond. Pond filters can be housed outside or inside the pond depending on the style of pond and space available. Filters require a pump to circulate pond water through the media (in-pond filters often have a built in pump). There are a variety of creative ways to disguise external filters like creating waterfalls or well-designed planting. 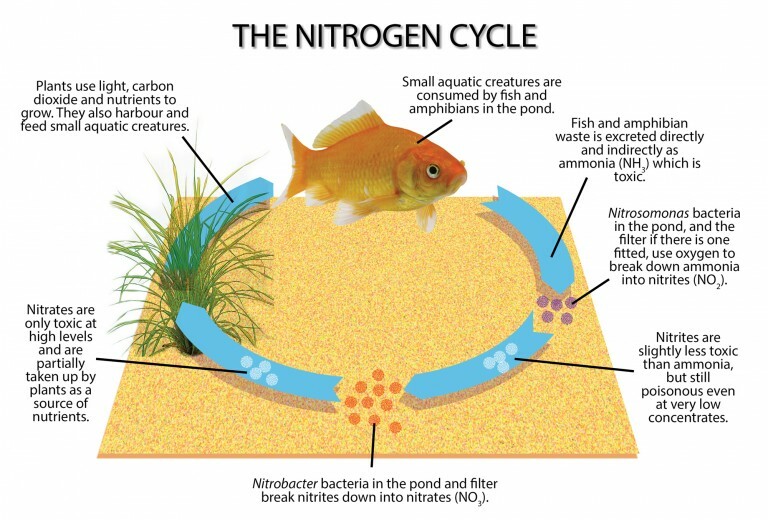 A pond filter contains a specific high surface area biological media which make the ideal home for the bacteria which carry out the nitrogen cycle. The water is circulated through the biological media and supplies the bacteria with a steady supply of waste chemicals and the oxygen they need to process them. Filters will also have media to remove visible waste (mechanical filtration) to keep the pond water clear. The other thing to remember is that ponds are an open environment meaning they can be polluted by outside sources like: run off from heavy rain, garden chemicals, detergents, concrete etc. It is important to be aware of possible pollutants as they can change the quality of the water and make it unhealthy for fish and wildlife. Filter bacteria take a long time (up to 8 weeks) to get established on their own you can speed the process significantly when setting up a new pond by adding a bacteria and enzyme product like Bio Start or Brilliant Pond Tablets to get the process started. The bacteria will also be dormant for most of the winter so may need a helpful boost in spring. Check that your pumps and filters (if installed) are running properly, check the flow and remove any blocages. Trim dead plants to encourage new growth. 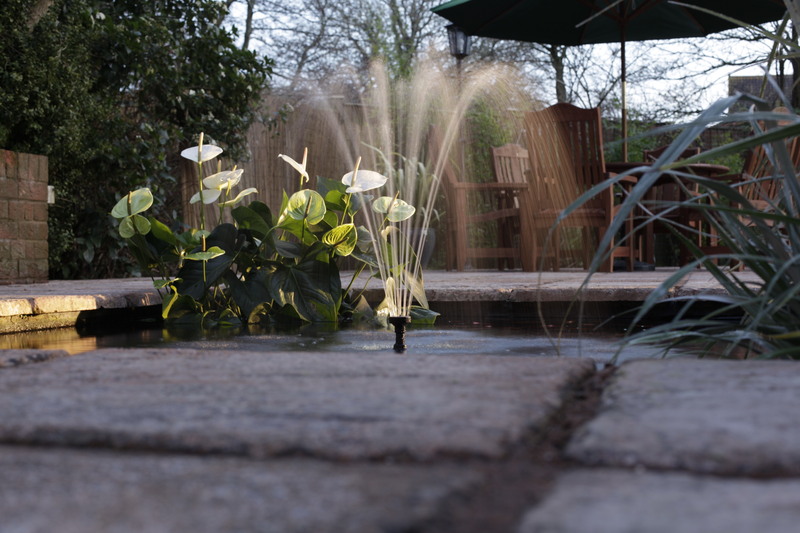 Top up any evaporation in your pond to dilute waste, always treat the new tap water with a de-chlorinator like Fresh Start as chlorine and chloramine in tap water is designed to kill bacteria which prevents the spread of disease in humans but will decimate the biological filter essential for a healthy pond. Chlorine and chloramine can also damage sensitive gill membranes of fish and other wildlife. 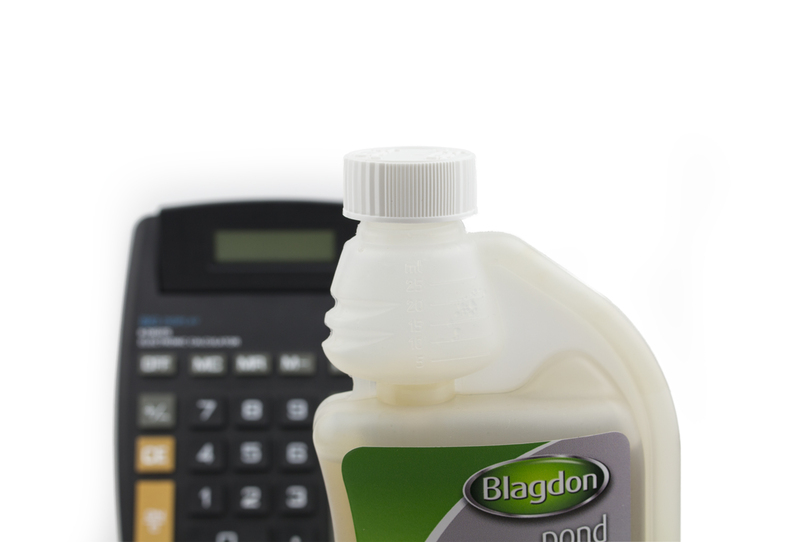 Manage waste levels by using a pond filter and using products like Sludge Buster or Brilliant Pond Tablets which include bacteria that will eat waste. 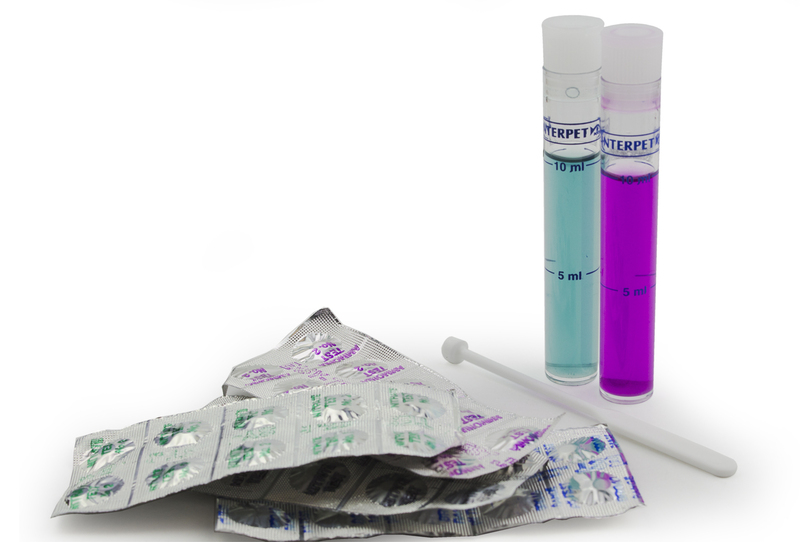 Most of the toxic chemicals are completely invisible to the naked eye so you need to test your water regularly to check for chemical irregularities. This way you can catch problems early before they have severe effects on the health of your pond.